When you watch movies with any sort of road trip scene in it the outcome always appears to be the perfect ending. With the children in the back behaving as expected, the parents in the front having an enjoyable stress-free trip, all while being able to enjoy no cars on the road. Unfortunately, the keyword to derive from all of that is “movie”. Road trips may be less expensive but could ultimately be disastrous if your entire family is jammed in a car for 6-10 hours. At the point of technological advancement we’re at now, there is little you can do outside of flying to avoid the inevitable issues that will arise when taking your family on vacation. But, depending on your ingenuity and determination to make this car trip as smooth as possible, there are some things you could do to make the road trip as painless as possible. Get lodging reimbursement when you break down far from home. Save more now with DriveSmart! One of the biggest ways to reduce the issues that may arise while being stuck in your vehicle is to plan your trip before hitting the road. One way you could do this is to find a road trip calculator that estimates your travel time, gas money spent and the best route to take. Luckily, most GPS devices such as the Garmin DriveSmart 7 LMT EX will allow you to create a travel route before even leaving your driveway. 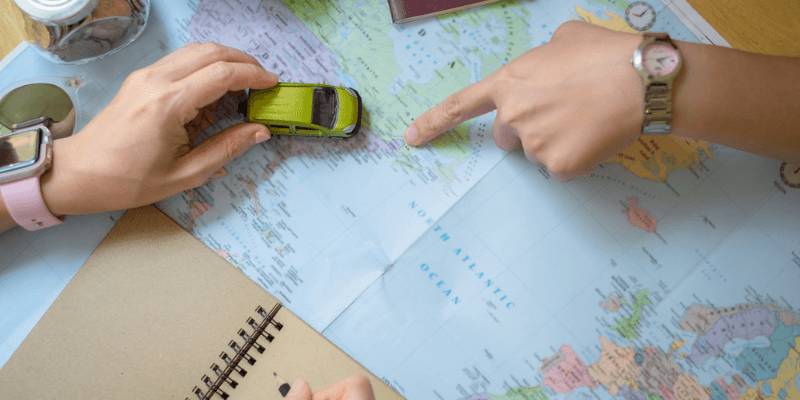 This will allow you to make your Florida road trip to Disneyworld without having to worry about any extra expenses as well as mitigating the use of a large road map. This is also exceptionally useful if you are planning a California road trip starting at the east coast, as you can find hotels along the way without having to stray from the path at all. 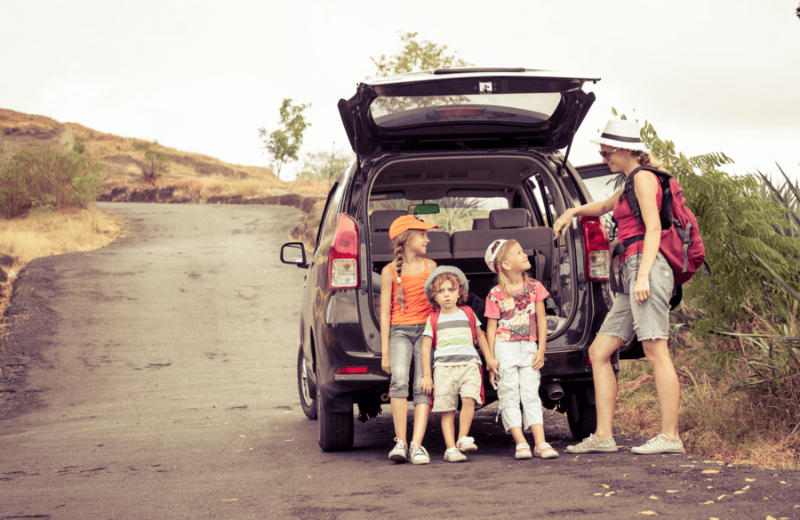 With a ton of the stress of planning out of the way, you and your family can get right on the road and have a more enjoyable experience. With one of the largest stress causing issues remedied, we can now begin the car ride. This will go as normal for the first few hours or so, but if you are taking road trip that is multiple states away you will soon find how irritable kids can get. Provided are some solutions you could use to use to entertain your children with that will tie up a portion of their time in the vehicle. With a majority of road trips taking place in the summertime, your child is bound to have reading requirements to satisfy for their school. Audiobooks are the perfect replacement for a physical book in their hands as most younger titles are narrated by a familiar voice and feature voice acting for the different characters in the book. 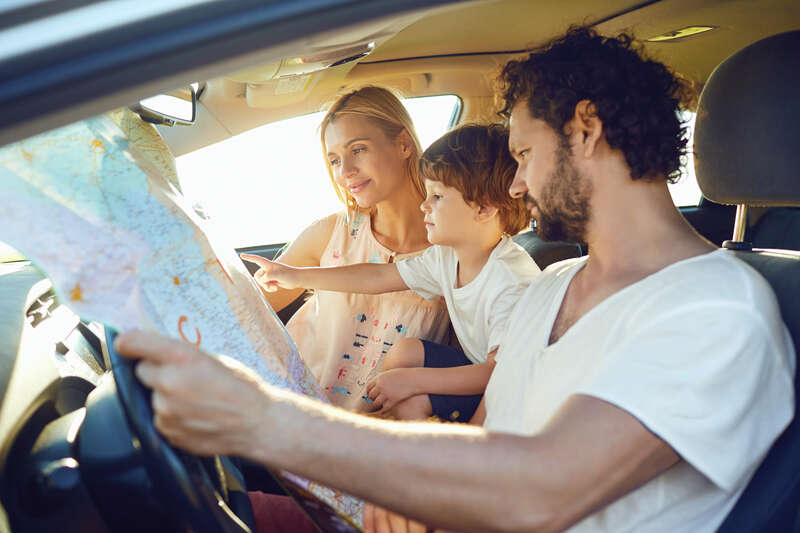 Finding games to play on road trips can be tough, as some of them have an extended number of rules that may go over some young children’s heads. But if you find easy games such as the buggy car game and car ride trivia to teach your children, there’s a good chance that you will find a game that will entertain your kids for hours. 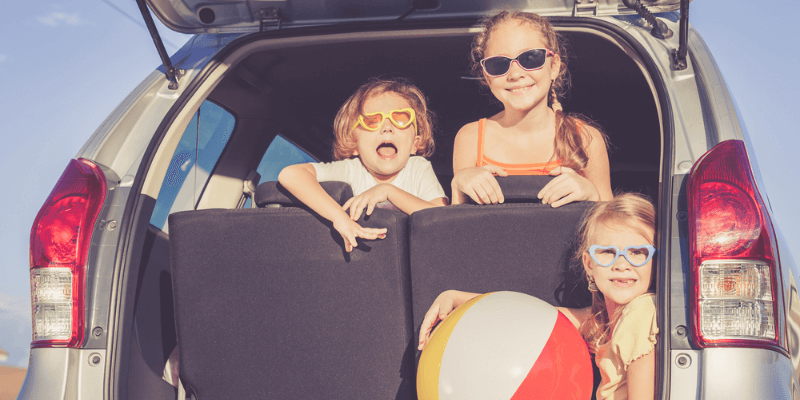 We’ve compiled a list of the top 5 games for children to play in the car on road trips. The last most important part for any long road trip is the stops along the way. Setting shorter distance goals as opposed to larger ones will allow you to gauge the travel a lot more. This also allows you to provide your children with landmarks to spot until reaching the designated spot. The best part of this is not everywhere you stop will require you to spend money, as there is a ton of free or cheap sightseeing locations to visit. This will give you the ability to stretch your legs and a breath of fresh air which is necessary when being enclosed for a large period. Road trips can be stressful, but they can also be exceptionally fun. If you spend the time to make sure that your road trip itself will be a smooth ride, then you will be setting up your trip for success. Finding things to do will require a bit of creativity, but in the end will be rewarding and will build lasting memories.